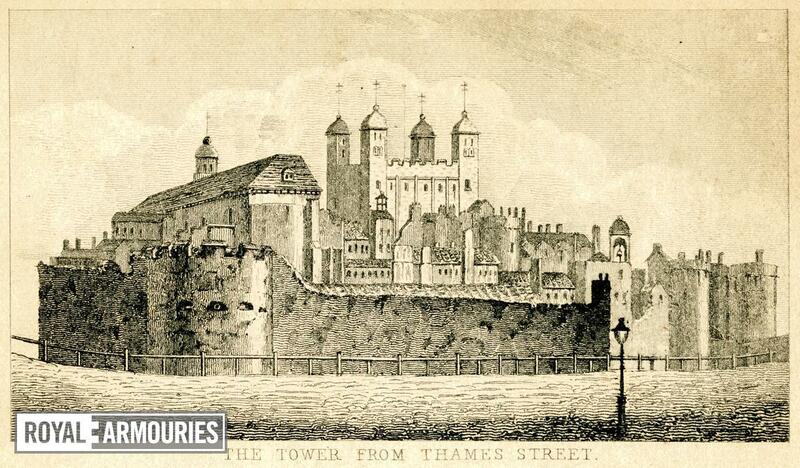 'The Tower from Thames Street', about 1805. Engraving, unsigned and undated, of the Tower of London from the West, showing Legges Mount, the White Tower, the Bell Tower and the Byward Tower. Lamp-post in foreground on Tower Hill.